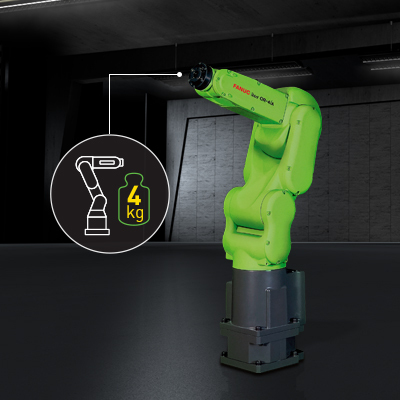 Hi, I am the smallest of the collaborative robot range, with six axis in my arm, and my maximum payload is 4kg. 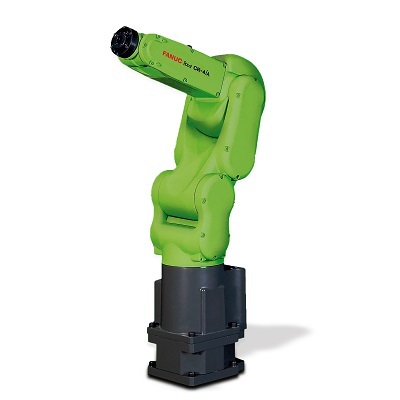 Similar to my fellow collaborative robots, I handle lightweight tasks that are tedious, highly manual. My compact nature enables me to perform smaller jobs in areas with limited space requirements. It is possible for me to be wall- or invert-mounted, offering me a wider range of motion without interfering with the operator’s workspace. Since I can take over these dull jobs, your hands are free to focus on more intelligent work or even more pressing matters. We can also work together side-by-side on tasks that are more complex, and require more interactive approaches (e.g. robot hands the part and the operator handles the quality checking). In addition to my compact, slim design, I am able to operate closely with humans without fencing due to a safety stop feature. This special ability increases the space availability, resulting in considerable cost savings. 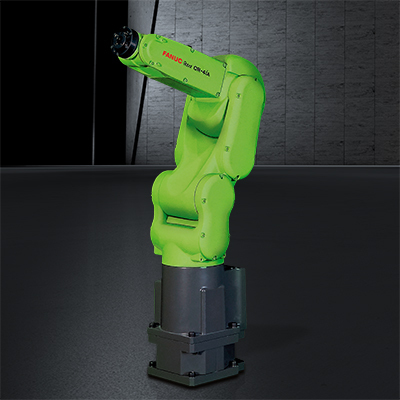 My compact design allows me to operate on tasks that are much more compact compared to my fellow collaborative robots. I can operate in smaller, refined areas side-by-side with humans. My design has a smooth surface with an additional soft cover to prevent humans from various bruising or from pinching their hands. Especially when collaborating together on such sensitive tasks, it creates a whole new level of interaction, where one hand supports another. Due to my collaborative nature, we can work in cooperation or alongside humans in a shared work environment - without the need for safety fences or sensors. While sharing the work space, we might collide with another, in which case my in-built smart sensor automatically puts me to a halt. To resume my work, a simple push will reactivate my movement. Should you at any time need your space, slightly push me away, and I will remain there. My safety certificates ISO 10218--1:2011, Category 3, PL=d proves that I am safe to collaborate with. My user-friendly design is reflected in my green color, which is an indicator for my collaborative nature. It clearly sets me apart from the rest of the yellow FANUC robots. 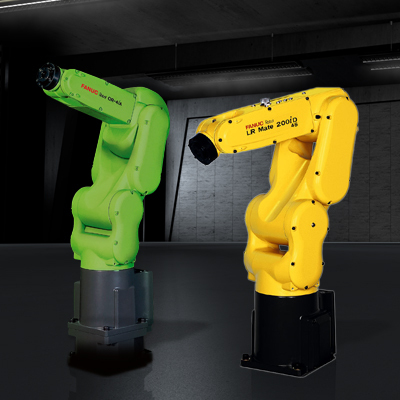 On the inside, we share the same yellow color, ensuring the same high reliability, proven technology and I use the same standard FANUC interface which is LR Mate model-based. My maximum payload is 4kg, which makes me the perfect candidate to handle more delicate jobs that include working along the assembly or production lines, handling manufacturing applications including small electrical parts transfer, assembly or other lightweight jobs. By handling these, humans are free from such manual tasks. I can be used in industries such as… automotive, Tier 1, logistics, electronics industries. 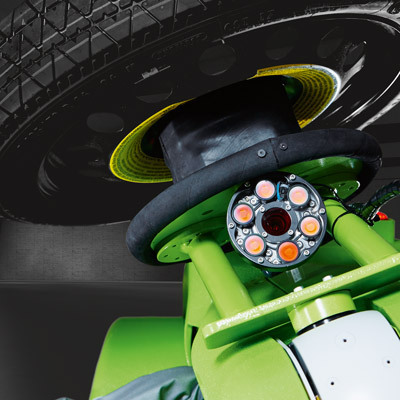 In case I should at some point need assistance, you can count on FANUC’s worldwide service and support for repairs, spare parts, or any other kind of request. Just contact us.